Morocco’s Electricity Utility (ONEE) selected two British firms as technical and financial advisors for its gas to power project. The London-based law firm Ashurst has been selected under a contract worth €1.9 million, while the Emirati branch of the British bank HSBC won a legal contract standing at $7.2 million. The gas to power project falls within the framework of Morocco’s efforts to diversify its energy sources through the building of liquefied natural gas storage facilities. 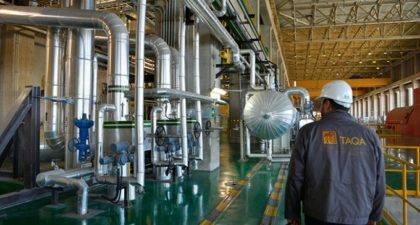 Morocco intends to connect natural gas pipelines to the combined cycle power plants and eventually the natural gas underground storage facilities. Morocco plans a giant 5 billion cubic meter per year LNG import facility at Jorf Lasfar, along with several combined-cycle gas turbine (CCGT) power plants and aims at bringing the share of LNG to 13% of Morocco’s energy mix by 2025. LNG is a natural gas that is cooled to -160 degrees Celsius (-256 degrees Fahrenheit) to be transformed into a liquid, thus reducing its volume and making its transport easier. Through this project, Morocco also aims at reducing its dependence on Algerian gas, as the two countries are at loggerheads over a host of regional issues on top of which the Sahara issue and the land borders closure.